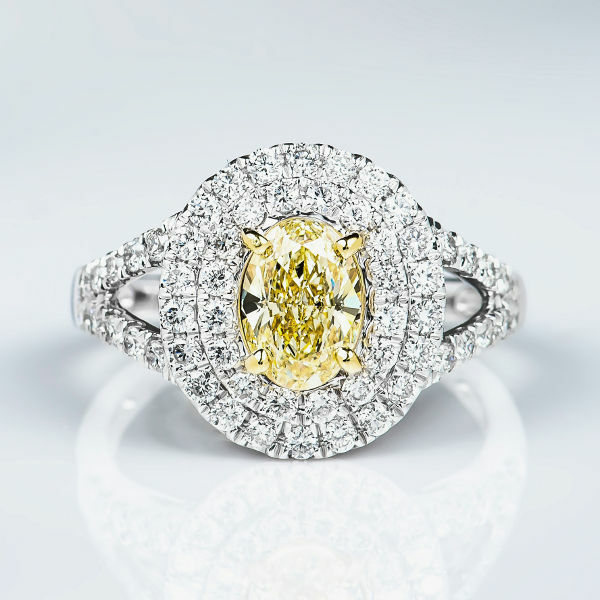 Without a doubt one of most beautiful and impressive yellow diamond rings. A 1.02 carat oval fancy light yellow diamond with vs clarity mounted onto a double halo 18k white gold ring. The dazzling setting features 58 H color white diamonds weighing 0.74 carat bringing the ring total carat weight to 1.76 carat for an extremely affordable price!